All this month on Build, we’ve been talking about project management. First, we shared two ground rules you need to set for yourself to get through a software project successfully, and in the last episode, we shared strategies for handling new ideas and unexpected challenges that may derail your project. But you’re probably left wondering, what do you do to get through the last 20% of a project? Especially when the deadline changes, and it’s clear that teammates are starting to burn out and become demotivated? Is it even possible to get through it and successfully ship? And if you are able to get through those hurdles and successfully ship, what next? In this episode of Build, Jen Leech, the VP of Engineering at Truss, joins me to share proven strategies to get you through that last 20% and successfully ship! what to do when the deadline gets pushed up or back. Poornima Vijayashanker: We’ve been talking about how to manage your first high-stakes project. We started by alleviating some of your anxieties, and then we talked about how to manage situations where people want to change course or bring up new ideas. In today’s final episode on this topic, we’re going to talk about how to keep your team motivated to help you ship your product. So stay tuned. Welcome to Build, brought to you by PivotalTracker. I’m your host, Poornima Vijayashanker. In each episode, innovators and I debunk a number of myths and misconceptions when it comes to building products, companies, and your career in tech. So finishing that 20% of any project can be challenging. People get burnt out and demotivated. In today’s episode, we’re going to talk about how you can keep them motivated and get them to successfully ship. And to help us out, Jen Leech is back. You’ll remember Jen is a VP of engineering at Truss, a software consultant. Thanks for joining us, Jen. Jen Leech: Absolutely. Thank you for having me. Poornima Vijayashanker: So you’ve done a lot of projects throughout your career, and you know as well as anybody out there that that last 20% is the hardest. People get demotivated, they burn out. So let’s talk about why this happens to begin with. Jen Leech: Yeah. So really the fundamental reason that this happens is that the last 20% is never actually 20%. It’s the 20% that you imagined when you thought about the project. But in terms of the amount of work involved, it’s usually the most tedious and painstaking tasks that are reserved towards the end. When you get towards the end of the project, that’s when new stakeholders start showing up and having ideas about things that need to happen on the project that weren’t already there. So the final 20% ends up being like another 80%. So four times as big as you thought it was going to be. So that can be demotivating for people. And people who thought—if they really thought they were towards the last 20%, then it’s especially demotivating because they suddenly see the work explode in front of their eyes when they hadn’t really thought that it was going to be that much more. Poornima Vijayashanker: So there’s a number of things that are causing the project to get bigger towards the end. One of them you mentioned, scope creep. How do we handle the situation? Jen Leech: Yeah. So this is the point in the project at which you need to get really aggressive about defining exactly what you’re trying to deliver and why, and for whom, and digging into every request that comes in and understanding how that impacts the final project. So the process of digging into that involves really having a good sense of who the users are, who the stakeholders are, and talking with those people as much as you possibly can. If a person comes in and wants to see a particular feature, you need to really understand why they want that feature, whether it’s something that they dreamed of as part of the project from the beginning. That’s something that they thought would be really wonderful for users, or whether it was something they determined through recent user’s testing is going to actually dramatically impact the target market for this product. Understanding where those ideas come from, the business impact of those ideas, how well vetted the idea is in terms of hard data, and then from there you can parametrize whether, “OK. This has been vetted. It’s really clear how it connects to our business interests. It’s a great path towards our goal. We need to get this particular thing in. Do we need to cut any other features? Are the other features irrelevant now?” You know, how does that change the whole scope of the project? So that’s one angle. 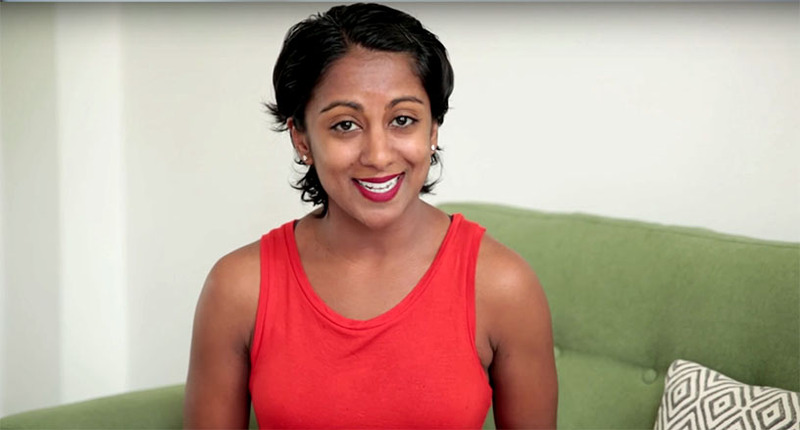 Poornima Vijayashanker: I really like what you said about being aggressive with pushing back, especially when it’s going to expand the scope and it’s not something that has a clear business goal versus the thing that has a very clear direction. The challenge though for many of us, is if that is an important stakeholder coming in then we worry about what will happen if we push back. So how do you navigate that conversation? Jen Leech: Yeah. So I feel as though many of the tactics that we described in the last episode apply here. So when someone comes in and they have their idea, how they want to see something go, they’re not going to be happy if they feel like you’re shooting them down without having thoroughly considered the idea. And if you begin to really investigate that idea with them by asking questions to reveal assumptions about the idea, following the idea through to its ultimate conclusion. That can clarify both for you and also the other stakeholder at the same time, the aspects of that idea that are things that you should run with that are going to improve the product and that are maybe relatively low cost. And maybe there are aspects of that that you can leave on the table for now, and you can tease those things apart. Poornima Vijayashanker: But here’s the deal. I am so exhausted. It’s been three weeks on this project. I don’t even have the energy to facilitate that conversation because I’m borderline burnt out and this is maybe the second or third request that this stakeholder has done. What do I do? Jen Leech: Well to be honest, you should probably walk out of the room. Poornima Vijayashanker: Yeah, OK. Politely maybe? Jen Leech: Politely. Politely walk out of the room. When you truly are burnt out, and you truly exhausted your emotional reserves, that’s when it’s time for somebody else to step in and take that role. And you should expect that that may happen some point in time and prepare for it. And so the preparing-for-it process is all about sharing your load with other people on the team, teaching other people on the team to do what you do. So on this particular project I have been referring to from last year, one of the things that I did on that team is I asked individuals from the team to rotate through the team facilitator role. So I would ask everyone from the team, whoever they were, to run sprint plannings, to run retrospectives. We would have design discussions where we would have design exploration, and then design critique. We would pair discussions where we…they weren’t exactly brainstorming. Not like the “everyone puts sticky notes up” kind of brainstorming thing. It’s not like that. But the exploration and exploding of an idea to gather as much as you can. Then somebody would go and write those ideas up, and then we would get back together to make a decision. All those processes have some kind of facilitation involved. And we would have everyone from the team facilitate those processes. Then when it came time, such that somebody was out sick, somebody needed to take a break, or was on vacation, those processes continued to occur without interruption and they vary a little bit and that’s fine. And each person who has taken that role then is also much more invested in the team, and a much better contributor to the process. So essentially you need to produce your best factor. I’m sorry. Improve your best factor by increasing the number of people who have that skillset. Poornima Vijayashanker: Now the challenge with doing this though is there’s a lot of handoffs. Which means a lot of setup and tear down, right? Like if I’m handing something over to you, I might say, “Here are the things we talked about before.” I mean, like you said it’s great for the bus factor, but it is not so great when it comes to that added investment of, “OK. Now I need to talk to Jen, and then Jen needs to talk to so and so.” And each time they’re doing that, that’s an additional time cost. Jen Leech: So you’re referring to handing off responsibilities. So one thing that I discovered is that…so part of the handoff process involves creating a set of really simple, well-defined processes that are easy for anyone to follow. And each time a new person stepped into the role, they would refer to those processes and say, “Hm. I don’t fully understand X.” And then we would augment the process to cover, “OK, so somebody didn’t understand and need an explanation for …” And we use these process documents to hand off the roles. So eventually it didn’t really require a conversation. Jen Leech: Well you know, what ends up happening is that although one person is designated to make sure the processes are happening, everyone in the room eventually becomes a facilitator. And the facilitator role is really just about setting the stage. And if everyone in the room has rotated through that role, everyone in the room is trying to make it happen. And you no longer have a single point of failure. Let’s say that facilitator doesn’t show up that day, or they’re not feeling very well. Someone else just does it because everyone’s done it. Poornima Vijayashanker: OK. So do you feel like there’s a level of accountability then where people wouldn’t necessarily be able to come in and game the system? Jen Leech: Yeah. Because the more people who…every time someone steps up and begins running the system, that really clarifies why there’s value with facilitating a collaboration in a way that includes everyone’s opinion, for example. The more people facilitate it, the more they understand the value in it, and then the more they reinforce it whenever they’re in a discussion. Poornima Vijayashanker: So there’s that dreaded deadline. And sometimes it gets moved up or it gets pushed back. In the event that it gets moved up, we’re kind of scrambling. In the event that it gets pushed back, we start procrastinating. So how do we hold ourselves to that deadline? 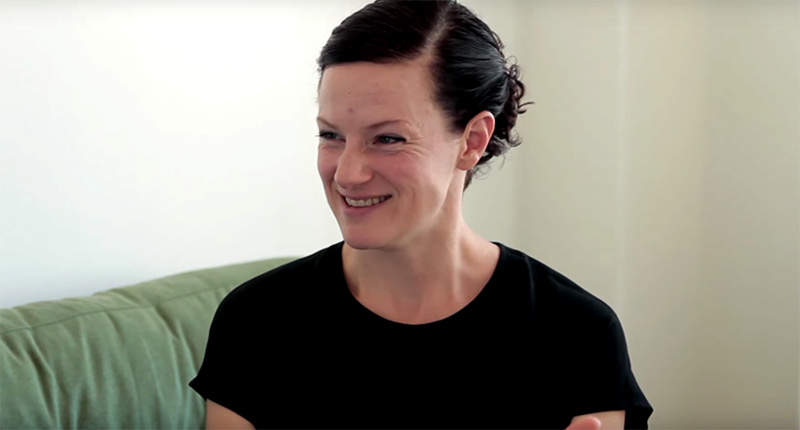 Jen Leech: I actually think that the case where it’s moved up is the easier case. Yeah. So when a deadline gets moved up, assuming that you’re working with humans, you have resource constraints. So the first thing that I look at is the project scope. And if you have defined what your deliverables are, the things that you absolutely have in your project, then you can look at those and think, “Well are there ways that I could deliver that in a way that is slightly simpler, or in a way that maybe doesn’t handle quite the data throughput that we’re going to need to handle?” Because maybe in the first week maybe we don’t really need to handle that data throughput. So having the deadline moved up can actually reduce you to be more aggressive in pairing down what you’re delivering in a way that can actually really help. And if the pairing down process is something you bring to stakeholders and they say, “Oh, but we really need all these features.” Then you have hard data that you can point to and say … Especially if you’re using a project tracker system like PivotalTracker, which is what we use, then you get estimates for the amount of work that the team can do in a sustainable basis, and projections for how much they’ll be able to complete by a certain amount of time. And those are real data-based estimates. So, didn’t intend to pitch Pivotal here, but I actually, I love their company. They do some great things. So then you can bring that to the table and then have a really clear, honest discussion about, “Here’s the what the team can do. Here’s the features we can deliver. What do you think? How do we solve this problem?” Again, trying to solve it together. When the deadline gets moved out, that’s when it gets more difficult. Poornima Vijayashanker: Right. People start procrastinating. Jen Leech: Relax a little bit. To think, “Oh, well. That feature isn’t so big,” and not realizing that you’re misestimating the amount of work that’s involved. So one of the things that I try to do, especially…so this works for both when deadlines are moved out, and when a deadline is being set for you that’s actually really far in the future. So you get to then have a version that lets people play with it enough so that if you’re building the wrong thing, you can change it before the real deadline, and even though the business has told you they want X by date Z, if you give them a smaller version earlier and discover they were wrong, they will be singing your praises to high heaven. That’s what they really want. What they really want is the answer that’s going to serve their customers. And if that’s what you’re keeping in mind, then you’re going to have a really successful project. Poornima Vijayashanker: Awesome. So you’ve done these kind of shorter shipping dates with the milestones. So you’re kind of doing it iteratively, you’re shipping periodically. What do you do though, right after maybe that first or second time that you’ve shipped? Because I think a lot people forget. They’re like, “Ship. Time to go on vacation.” It’s like, “Hold up here.” Right? Because you’ve broken it into milestones, there is another one coming up. There’s another sprint, release, whatever you like to call it. Jen Leech: Right. Right. Well it depends on what you’ve shipped. I mean if you really shipped your true milestone, you should probably go and have a party. Like celebrating your results has real value to it. Aside from that, you’re getting ready to collect data about what you’ve built. And this is part of the process that I think is sometimes…although we talk in our industry a lot about gathering research and being product driven, and making sure that we’re building for the actual users, however I think that…I’ve seen fairly often that people feel as though they’ve built a great product. “Great, let’s move on.” And they can sometimes forget who all the users are. Can sometimes forget what it means to be successful. And as an example…and then maybe not gather enough data. And that’s a huge failure mode that I’m constantly trying to correct for. The one example is, I talked about a validation system that somebody might build in one of your earlier episodes and we came up with an idea for this validation system which was based on real user experience from the previous system the company built. We built this new design, we rolled it out, and it was basically working. It was basically…it was allowing us to quickly and easily specify checks on data that we had generated. It was doing it in a way that didn’t cause us to repeat ourselves too frequently in the code. It was doing it in such a way that people who were not engineers could author the validations and look at the results. We were able to say with a higher degree of certainty that the data was correct. However, at the end of the day, because it was serving these fundamental use cases that we knew we had, that maybe the previous system had not solved these use cases well. So it was already better. We knew that. But we could have dug in a bit more. And we could have dug in a bit more by going back to the users and saying, “OK, do you want to use this? When you use it, what are the things that really irritate you?” And dig into those and get a good sense of why your baby’s ugly. It sometimes is painful to do that. Poornima Vijayashanker: Yeah. Because you just shipped and you just had that party, and nobody wants to have a downer after that. 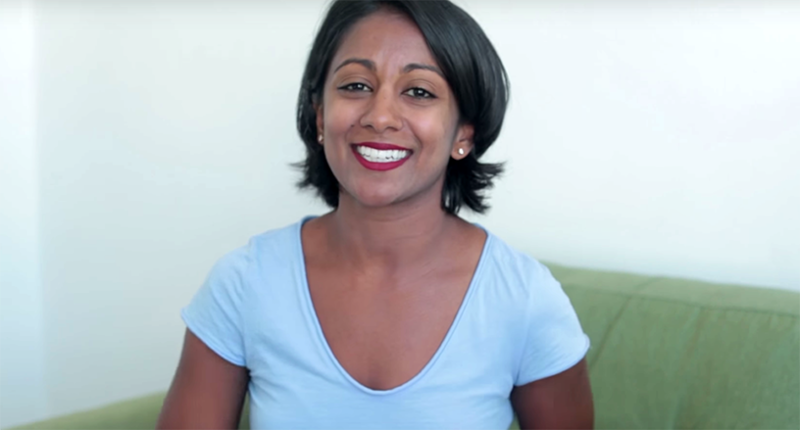 Poornima Vijayashanker: Make it a game a little bit. Jen Leech: Yeah. Well, you know, and if you come from the assumption that you’re always going to have it wrong, then that’s how you get it right. If you ever come from the assumption that you were right, it’s guaranteed that you’re going to miss how you’re wrong. Poornima Vijayashanker: Or maybe that situation, but there’s a new situation you can’t apply that same assumption. Jen Leech: It’s new. Situations change. There’s going to be data left on the table if you don’t go back. Poornima Vijayashanker: Right. Yeah that’s fantastic. Well thank you so much, Jen. I know I can talk to you about project management forever. But I think this is a great place to stop and I know you’ve given our audience a lot of awesome strategies. So thank you. Poornima Vijayashanker: So any final words for our audience out there? Jen Leech: Yes. So I…Poornima mentioned that we run a consultancy, Truss. And we do consulting so we build all sort of different kinds of software, we do infrastructure, we work with big data, we work with highly sensitive data for the government including healthcare data, things that are highly regulated. We solve a lot of different kinds of problems and we would absolutely love to help you solve yours. So if you have a hard problem to solve, please come hit us up. You can find us online at Truss.works, and we have a form that you can fill out there to request a quote. Thank you. Poornima Vijayashanker: Yeah. That’s it for this week’s episode of Build. Be sure to subscribe to our YouTube channel to receive more great episodes like this one. And short Build tips. Ciao for now.